This is the first issue I have had with the new 4.6 version. I can't get the rendering engine to do anything except "CRASH". I figured I would stress it from the start and try rendering the LAMH hair out...but it won't work. System and Graphics drivers are all up to date, and I never had an issue with it before now. Could there be a problem area I'm overlooking after installation? Does Look At My Hair have to be re-installed and activated again? I can view the hair using the free player, but not the final rendering because, as I said, 3Dlight "Crashes" immediately. I also no longer see the creation panel, which did work before. The option to create "New Hair" has also disappeared. So I can only assume the plug-in is being ignored unless it is re-installed? Post Edit: Well it works now that I re-installed the Plug-in; at least for the 32 bit version. Doesn't make sense that the Free-Player cannot be installed alongside the actual plug-in though. The Free Player has some easy to use features...maybe I'm looking at this backwards. Don't know what you all did the code but it's so much better. GoZ used to crash out DS all the time. Now, no matter what I do it stays stable. Certain things that would crash DS from the bridge would be to import in a shape I'd created but wanted to fix up some more. So what I would do would save out the morph as a new obj file then bring in Genesis default shape, store that in ZB as a morph target to bring back ears, eyelashes, eyeballs or what ever needed restoring, and then Insert the saved out morph.obj so I could work and not worry about loosing default detail where I didn't want to (that goes for making sure the hands and feet were also safe) in doing this it must have created some instability in previous versions of DS. 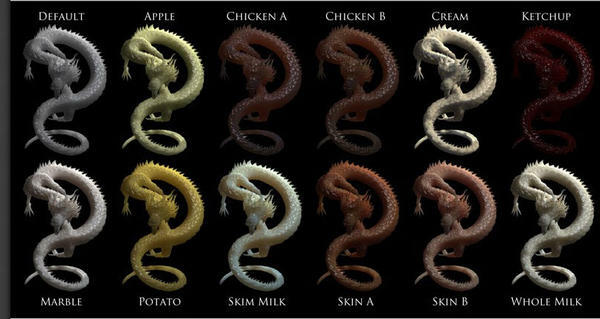 Most of the time bringing the re-sculpted morph back into DS would lead to a crash. So then I'd have to save out the fixed morph and bring it in via the Morph Loader Pro and while that worked fine I like using the Bridge best. Was Uberenvironment 2 revised too? It seems that it renders less bright than in 4.5. If I use one of the HDR's at 100% (quality 4XHi), I get lots of grey spots on the skin. There also seems to be more noise in the shadow areas. I wonder if the 4XHi qualitytakes effect, because especialy the hair renders much faster than before. ...well, I rendered a scene with Jack's Aslan Court in the beta of 4.6 using the lights that came with the set and the lights were still too "hot" for some reason. The player and the full plugin can't be installed alongside each other, only one or the other. As they use many of the same system parts they just can't run simultaneously. Hopefully we'll have the full version out soon with the human hair shader and the new features so you won't want the player too. Do they show up in Content Library > Poser Formats > My Library > Figures > DAZ People? I'm stumped. DAZ 4.6 won't load. I've tried a number of variations to find a solution....MCSA does come in handy! I can run D|S 4.5 with no problem. I've even loaded 4.6 gotten the error, removed it and reloaded 4.5 with no problem. So here is what I've done most recently. 4) ran CCleaner on the Registry (three times. Dang some thing just don't want to delete.) on a side note, when did Uninstall stopped being truely Uninstall...as in everything? 7) Ran it in normal and as administrator. 8) received this error you see as the attached image. Tech specs: Quad core 3.2Ghz system with 16Gb ram and 2Gb Nvidia graphics card running Windows 7 64bit. System is up to date. Manually had to update the latest update for the video card two weeks ago as MS did not show the update available. I was trying to load the Beta version back then and received the same error. What is in the set of SSS shaders and where are they? All I can find is the Base Shader. "There’s even a free set of basic Sub Surface shaders included. " Is there any way that the hideous Splash screen can be turned off. I hate it. I did find the settings I was looking for, though. Kind of odd for the settings, i.e. marble, not to have their own icons in the content library. I have the base shader - but cannot find these at all. The toon and plastic shades are working fine and I did install the shader base as well. 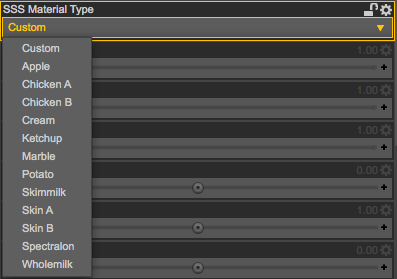 These can be found in the "SSS Material Type" dropdown of the material settings and they appear to adjust certain settings of the shader as a kind of preset. Yes, but when I load it start asking a lot of pz2 files. Just that one with a parchment icon. I reinstalled V4 but still happen the same thing. Maybe I should unistall all (daz 4.6 and characters) and reinstall them again. There's a Content folder there that shouldn't be - assuming that the \Runtime\Libraries\!DAZ folder is in the actual folder listed under Poser Formats in the Content Library and not a subfolder of that, go to the !DAZ folder in a file browser and double-click CreateExPFiles-V4.bat. 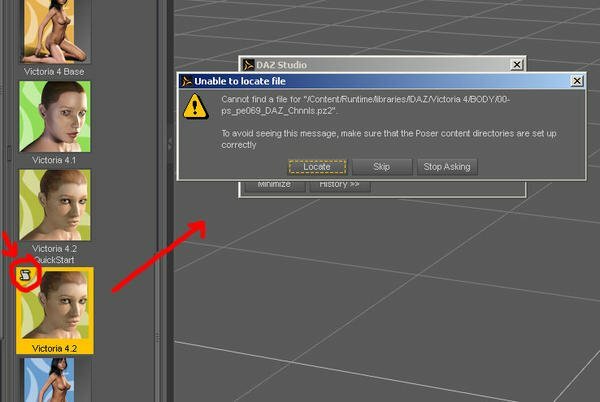 If the Runtime is in a Content folder in the folder that appears in Content Library, cut the contents of the Content folder and paste them into the actual content directory folder that is listed under Poser Formats. Thanks Richard! That's a DS3 Runtime and I think is better reinstall everything for optimizing the library. If this issue happens again, I'll come back here. I had found, then lost these. 1) There was a crash while updating another of my morphs I made for Genesis. Luckily I was able to save it out via ZB as an obj so no harm there but when I tried invoking DAZ Studio again it kept crashing during it's start up. So not sure what's going on there. After the 3rd try I went ahead and watched some TV for a few minutes and came back and it was finally up and running again. 2) Since that set of crashes DAZ Studio takes like a minute and a half to load up now. It's certainly not faster in this way, it's like molasses coming through the eye of a needle. Perhaps my log file will help you determine what's going on. 3) CRAP... The render engine takes forever to engage, saving out the image is taking forever too and on top of that now another thing is it's creating icon sized images for every image saved to my desktop. So if I have a mess of images already on my desktop (like pictures I'm saving from Facebook or other places on the web) it's creating icon sized images of those as well as saving out the render I just did and creating icon sized images of that. This is really weird. 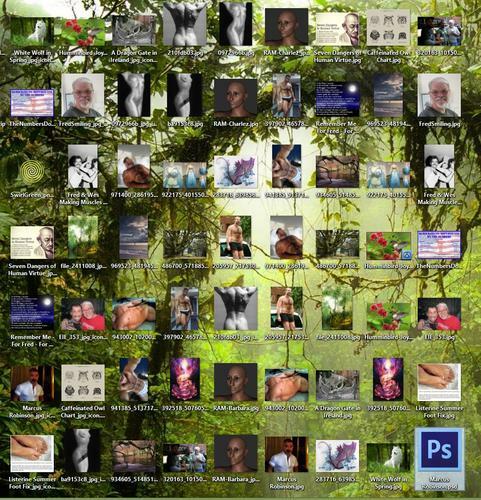 Screen grab below shows all the images on my desktop... all the doubles you see are icon sized images. So say I have that image of "EIE_353.jpg".. there is one named "EIE_353_jpg_icon.png"
The short answer is there are very serious and numerous reasons that we moved away from the .DAZ format, and even given that, it was a decision that we did not make lightly. DAZ_Spooky, thanks for responding, but that doesn't help nor answer my questions. Given that this change has been made (for the reasons you mention), it doesn't seem unreasonable to ask DAZ to provide some help in converting old DAZ scenes. I have searched the forums and the web and have found little explanation of things like the auto_adapted folder. The idea is to get rid of DAZ scenes in favor of DUF scenes. What is the best (and easiest) way to do that? Some information about what auto_adapted is and how it works would certainly help. I will start a new topic since I am not getting answers here and since, apart from the fact that handling of DUF files changed with 4.6, it isn't directly about the DAZ Studio Pro 4.6.0.18 General Release. Update. Tried uninstalling DAZ Studio and the Service module, rebooting the computer and reinstalling... still the same issues. Takes forever to load up the program. Takes forever for the Render to start and takes forever for the Render to be saved to the Desktop! BAD BAD BAD! RW: in the render Library pane, right-click the tab or click the menu button and pick Render Directory Manager. It works like the Content Directory Manager - make sure you don't have the Desktop selected. Then, if you really must save your images to the desktop, do a render to a window and click on the Library button (under the label for the Name box) and select Folder instead. That will kill the icon generation, and might speed things up. The new CatMark default SubD is slower than the old method, so items like Genesis will take a bit longer to appear in the viewport.